Upon arriving at Cresta Dive Centre you are greeted by Charlie. After a few minutes talking she will call out her favourite name, Casey! It’s her favourite name because she does not stop using it, Casey this and Casey that… That’s where I come in, I am Casey. I explain in more detail about the PADI courses and dive sites. Here at Cresta Dive Center we do all our training in proper conditions! So if you are doing any of the beginner courses it makes life a lot more comfortable. We also do three dives a day away from the dive shop, Blue Grotto, Marfa Point, Comino, Gozo and many more. We keep our groups small and our diving safe! 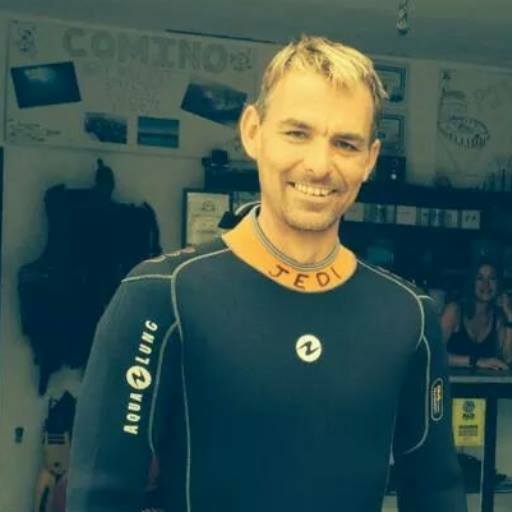 MSDT Staff Instructor Conrad does most of our PADI courses and Casey has 23 years experience of diving Malta and looks after the experienced divers who want to enjoy the various dive sites of the island! We are more like family and less like factory. We have known each other over 20 years and have worked together for the last 16 years (that is rare in the dive industry). PADI Instructor diving since 1989. A local experienced diving Instructor making sure your safety and enjoyment come first. Casey is a Maltese national that knows the island inside out! PADI MSDT Instructor. Originally from Portsmouth, Conny has been diving since a young lad. Since leaving the British Army and moving to Malta 7 years ago, he loves nothing more than introducing people to the underwater world.